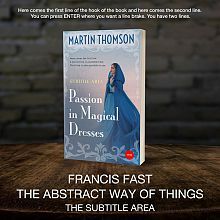 We are the leading premade book cover service in the market, and every book cover designer we work with is experienced and qualified only in print and publishing designs. This book cover has 3 lines for the title, 1 line for the subtitle, 1 line for the author, 3 lines for the hook, and finally 1 line for the genre. The most popular tags describing this Romance premade book cover are woman, beautiful, girl, fantasy and young. Other keywords revelant to this premade cover are person, female, white, nature, beauty, fashion, blue, adult, vintage, model, caucasian, attractive, romantic, outdoor, hair, dress, pretty, mysterious, freedom, bright, happiness, elegant, elegance, field, season, fairytale, winter, long, wild, outside, bird, cold, hope, river, snow, wind, blonde, princess, train, ice, frost, frozen, snowy, pigeon.